In Part 1 we took a look at the major ebook stores that authors have options to load direct to when / if they decide to go wide. It's not exhaustive by any means and I apologize if I missed any that you might have interest in. However, the list presented is typically considered the major players in the field. Now, though, let's expand upon that and take a look at some other popular options for authors looking to branch out. Pluses: Lots of options offered for categories, formats, and keywords. Accepts many different formats for upload. Friendly for those who know Word, but not how to create an ebook. Minuses: Their meatgrinder tool can sometimes produce odd formatting. Feedback for their premium catalog can be difficult to understand. Timing to reach their other channels can be highly variable. Ugly, not particularly user-friendly interface. Pluses: Quick updates to the Smashwords store. Minuses: Updates to their aggregated stores aren't always quick. Some of the stores themselves are frustrating to update or remove. Confusing interface between the various dashboards. Pluses: Coupons and permafree allowed. Affiliate program is offered. Minuses: Smallest of the stores. Difficult to market in. Sales and payment reports can be confusing. For a time Smashwords was the go-to ebook aggregator for many. These days, it feels eclipsed both as a storefront and an aggregator due to its dated look and feel. Pluses: Lots of options offered for categories, formats, and keywords. Accepts many different formats for upload. Friendly, easy to follow interface. New options for adding introductory, promotional, and biographical pages to your books. Tooltips offered to guide the user through the experience. Allows access to some ebook stores that are difficult to get into otherwise. Minuses: Time to publish at the various other stores can be variable, but is generally pretty quick. Pluses: Quick updates to books, as well as updates for the various specialty pages they offer. Email support is generally considered pretty good. Minuses: Updating requires republishing to external stores, which again can be variable for timing. As picky as I can be, I find very little to dislike about Draft2Digital as a platform. Pluses: Offers both a guided step-by-step setup, as well as a streamlined "expert" setup for CS veterans. Once setup is complete and everything is approved, can be easily linked up with your ebook on the Amazon store. Formatting, cover, and other additional services are available for a fee. Multiple options available for ISBNs for all budgets. Downloadable templates and guides are available. Minuses: Mandatory wait times for files and covers to be checked for print-worthiness. Make a mistake, and you could be waiting up to 24 hours to fix it. Their additional services tend to be pricey for what you get. Can often do better shopping around for freelancers. Pluses: Relatively easy to update. Digital proofer works as a pretty good substitute for actual print proofs for minor updates. Owned by Amazon, so shares their good customer service. Minuses: Several options are locked once you publish. Need to change trim size, paper type, or ISBN then you'll need to retire your old book and start from scratch. Subject to the same time-out period as initial setup. Pluses: Options for creating a Kindle version directly from CS. Expanded distribution options for other storefronts and libraries. Minuses: Expanded distribution often requires in a price increase, making long books expensive for consumers. Creating a kindle edition from CS can result in an ebook of iffy quality. Typically not considered a viable outlet for true wide distribution as CS does not work like other print wholesalers. Questionable value of expanded distribution. The go-to place for indies when it comes to paperback options. Expanded distribution is iffy, so might be best to utilize CS for the Amazon marketplace and Ingram Spark for expanded distro as a long-term strategy. Pluses: Offers a guided step-by-step setup. Industrial, but functional design. Tooltips offered for ease of setup. Hardcover options offered as well as lots of trim sizes. Minuses: Pricey if setting up multiple books. However, they do run sales throughout the year, so it's recommended to keep an eye open for those. Not nearly as user friendly as Createspace. Considered an advanced took for paperback distribution, so best to do one's research before diving in to set up books. Pluses: Minor updates such as pricing and meta-data allowed from their tool. Revisions can be made as well, but are not free..
Minuses: Revisions are not free. Can get pricey with multiple books. Pluses: Options for selling to book sellers who otherwise will not do business with Createspace. Minuses: You are treated as a publisher, which means you assume risk and responsibility for returns (not really a minus for someone pursuing this business seriously, but more a word of caution). A great service, but probably better for those who are more advanced in their indie author career. For those just starting out, Createspace is recommended. Pluses: User friendly setup. Multiple options for finding narrators. Multiple pricing options for paying for narrators. Different options for distribution offered. 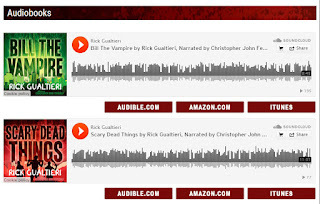 Exclusive distribution offers access to Audible, iTunes, and Amazon storefront. Minuses: Stipend system is a crapshoot. Graduated royalty system abolished in favor of set 40% royalty scheme. No control over pricing. Can be pricey depending on quality of narrator. ACX has a long review period, sometimes several weeks, between your approval of a book and it actually being put on sale. Audible distribution term lasts for 7 years. Pluses: Fairly quick customer service. Minuses: Once an audiobook is approved, you're pretty much done. Cover changes can be made, but must be done via contacting their customer service. Pluses: Some tips are offered. A fairly robust market if one can tap into it. 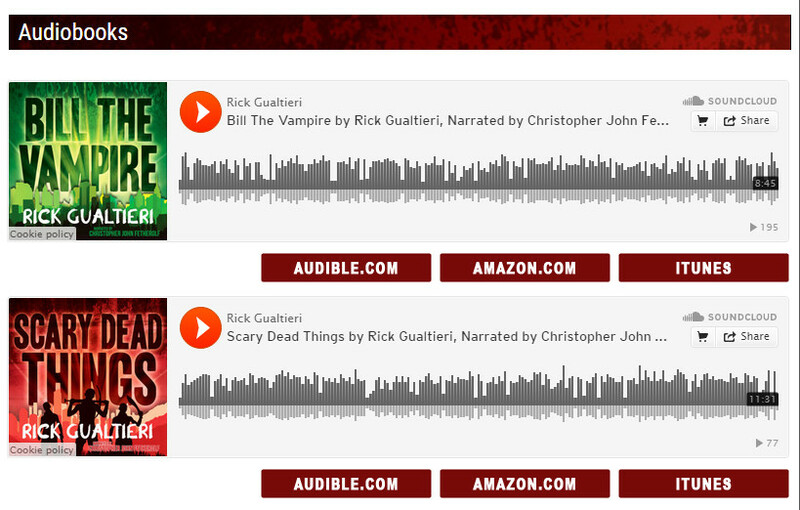 Audiobooks are linked to ebooks and print on Amazon, offering expanded visibility. Minuses: ACX offered very little in the way of marketing services. Their financial reporting is fairly obtuse. Often difficult to calculate what royalty one is receiving until such time as one is paid. If more competitors enter this field, this grade could easily be lowered. For now, though, they're the go-to outfit with regards to cracking the quite-large audiobook market. So where can I purchase your books in epub format for my Nook?